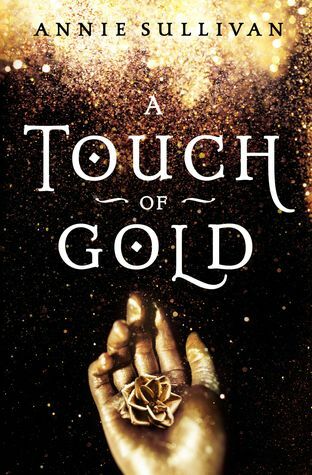 Today I’m welcoming Annie Sullivan, author of A Touch of Gold, the magical retelling of the Greek myth of King Midas, to the blog to participate in our fun interview series! 1. What makes your book magical, mythical, or mischievous? My young adult book, A Touch of Gold, is magical and mythical! Not only does it involve the daughter of King Midas who has deadly gold powers, but it also deals a lot with Greek mythology and the Greek gods. Dragons! There are so many stories about dragons. They can be friendly or ferocious—or maybe they’re shape-shifting humans. I just love the possibilities that dragons bring to a story. Plus, when I think of fantasy, dragons are one of the first things to come to mind. Not to mention that I’m always cold, and I feel like a fire-breathing dragon would always be warm. 3. What magical power do you wish you had? I would love either the power to heal or to fly! I think healing would be great because you could help so many people and make their lives better. But the power to fly would be awesome because you could get places really quickly with a great view! 4. If you found yourself trapped in a fairy tale or myth, which would you want it to be? Mermaids! There’s just something so intriguing about half-human beings who can swim in the sea. So much of the sea is unexplored that you never know what could be hiding down there. 6. Hans Christian Andersen, Grimms Brothers, or Disney? Disney!!! I love a happy ending, and Disney tends to have that more than the other. Plus, they have lots of catchy songs. 7. What are your favorite fairy tales and/or myths? Why are you drawn to them? I love any fairytales with a fun adventure and a promise of a love story. There’s just something so familiar and heartwarming about good overcoming evil and people finding true love or just finding out that they’re stronger than they ever though they could be. 8. Who are your favorite villains of lore? I’ve always been interested in Ursula. In the Disney version, she and Triton are siblings, and yet, she’s been cast out. People clearly still go to her for solutions to their problems. I’d like to know why exactly she and her brother had a falling out. 9. Would you rather be a hero or a villain? I’ve always wanted to be a hero, but I do often think that villains can sometimes have more flair and style than heroes. But at the end of the day, I would want to be the one saving and sacrificing for others, and I would want people to like me. 10. Would you rather be locked up in a tower or a dungeon? 11. What elements of the King Midas myth did you use when incorporating the tale into your own novel? I used a lot of Greek mythology since the King Midas myth is originally a Greek myth. I also used a few creatures inspired by other Greek myths. I wanted the world of A Touch of Gold to have familiar elements but also new twists on a world people sometimes think they know. 12. What sets your retelling apart from other retellings of the same story? There really aren’t many retellings of the King Midas story, but mine is truly unique because it focuses on the daughter of King Midas who has gold powers of her own. In the original myth, King Midas’s daughter is such a forgotten character. She’s a means to an end so her father learns his lesson. I wanted to bring her to the forefront and explore her life—and her curse—after she was turned to gold as a child by her own father. 13. What lesson do you want your readers to learn from your retelling? I want readers to learn that they’re stronger than they ever thought. I also want them to see that maybe something they thought was a flaw may actually turn out to be their greatest strength. I want them to come back to the real world after reading A Touch of Gold and be a little more hopeful. 14. What made you want to incorporate a myth into something brand-new? I love fairytales, but I’ve always wondered about what would happen if one element or another was changed. How would that change the story? I also love looking for the forgotten characters—like the daughter of King Midas—who might have a story of their own to tell. Annie Sullivan is a Young Adult author from Indianapolis, Indiana. Her work has been featured in Curly Red Stories and Punchnels, and her novel, Goldilocks, won the Luminis Books Award at the 2013 Midwest Writers Workshop. She loves fairytales, everything Jane Austen, and traveling and exploring new cultures. 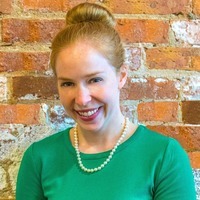 When she’s not off on her own adventures, she’s teaching classes at the Indiana Writers Center and working as the Copy Specialist at John Wiley and Sons, Inc. publishing company, having also worked there in Editorial and Publicity roles. You can follow her adventures on Twitter (@annsulliva). I’m a dragon fan all the way as well. :) Loved reading this review, there are some great questions! Thanks so much for sharing! Jordan Rose recently posted…Discussion: Posting Reviews on Social Media–Is There a Limit?